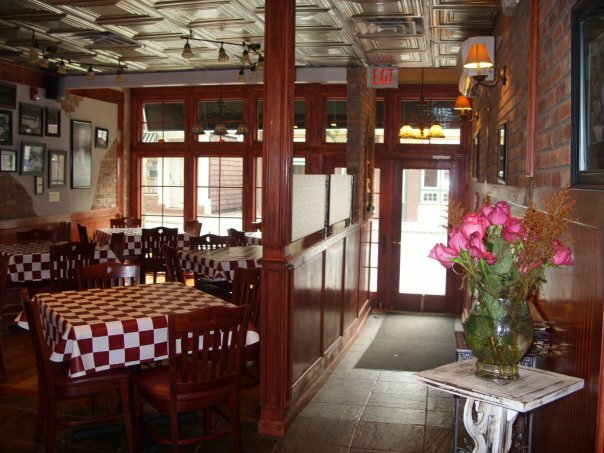 Michael's Pastaria is a Fine, Family Owned, Italian Restaurant located in Nutley, NJ. We provide a casual romantic setting, soothing dinner music, and we guarantee we will make you feel right at home the minute you walk in the door. We also specialize in homemade pasta, seafood, veal, and chops. Our gourmet deli will cater to any corporate event to an intimate private party at your home. The restaurant can hold up to 100 people which is also perfect for corporate functions or family events. Take some time to review our catering, take out, and specials menu! Angeloni's can customize any menu to meet your taste. Take advantage of having delicious gourmet food delivered right to your home. Deliveries are available to the Nutley, Bloomfield, Belleville & Glen Ridge. We are conviently located at 143 Franklin Ave in Nutely, NJ. Click here for directions. Call us at 973.661.5252 for Take Out or to learn about our daily specials!